Every purchase of any of the selected models of Brother home sewing machines from February 15 to March 31, 2017 at any Brother authorized dealer store nationwide will entitle customers to a FREE sewing kit worth Php1,300, as well as a one-of-a-kind free training session at the Brother head office at Taguig City. The kit comes with all the sewing paraphernalia that you may need to do mending work or to help you stitch your next masterpiece. It consists of tape measure, fabric pencil, tailor’s chalk, fabric scissors, seam ripper, thread trimmer, tracing wheel, sewing machine needles, hand sewing needles, sewing pins, pin cushion and six yards of tetoron fabric. Among the three Brother home sewing machine models included in the promo is the new compact and easy to use Brother JA1450NT sewing and mending machine, with a suggested retail price (SRP) of Php 9,995. It comes with a wide range of 14 built-in stitch types, four-step buttonhole, needle threader, top load bobbin, LED sewing light, auto threading system, twin needle sewing, free arm conversion and instructional DVD. Also included in the promo is the Brother HSM JS1410 sewing machine with a SRP of Php7,995, which lets you enjoy all the basic necessities of sewing to help you with all your projects. 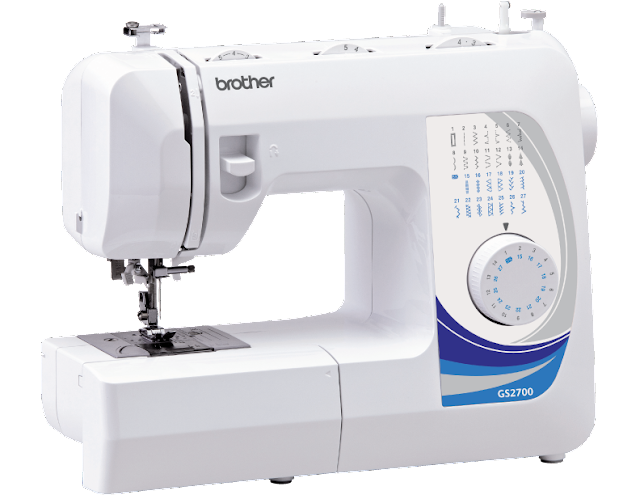 And last but not the least, Brother will also give away a sewing kit with every purchase of the Brother HSM GS2700 mechanical sewing machine (SRP Php 10,995) with built-in needle threader, quick set bobbin, one-step buttonhole, different feed and 27 built-in stitches. It’s ideal for repairs, dress making and home furnishing projects. For more details, visit www.brother.com.ph or call (02) 581-9888 or (02) 581-9800.